1) Royal Envoy HD (iPad)- the ultimate sim building game for your iPad, previously stamped with appSIZED approval. The best part is it’s FREE! 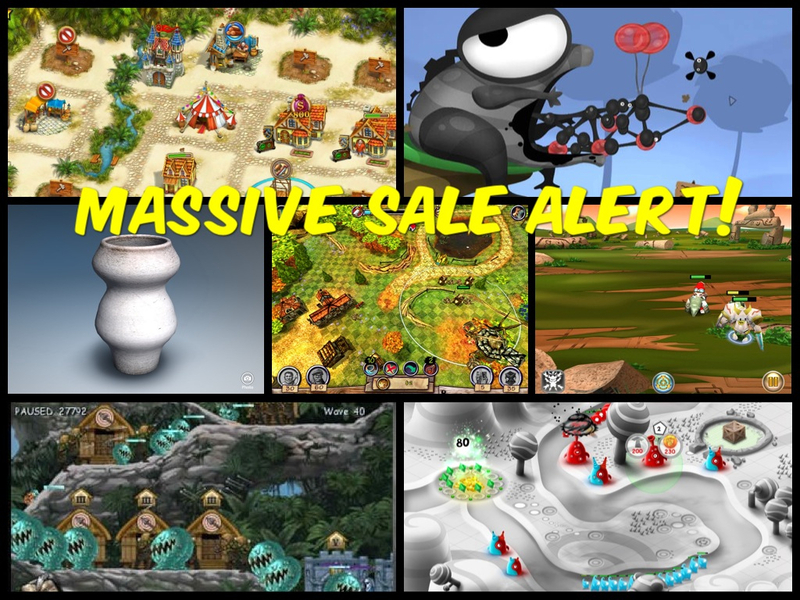 Don’t miss the other awesome games by Playrix on sale for 50% off! 2) World of Goo (Universal) – sweet stickiness is only $0.99. This highly acclaimed indie platform puzzle game will leave you stumped for hours. 3) Let’s Create! Pottery HD (Universal)- let your creative side rule and make something beautiful with your hands for only $0.99. An incredibly immersive and relaxing experience. (Note: I am having issues accessing the store or menu for painting my wares) Don’t forget to check out other games free or on sale by Infinite Dreams! 4) Monster Trouble HD (Universal) – this literal but awesome take on the classic tower defense game is gorgeous, challenging and FREE for a limited time! 5) Mystical Gem HD (iPad)- if you can’t get enough of Mika Mobile’s Battleheart, then this real time RPG game might be a good diversion, similar to Battleheart in terms of controls and mechanics, but with an awesome weapon synthesis that you can do with your friends or Gamecenter players. FREE for a limited time! 6) Defender Chronicles – The Legend of the Desert King (iPhone/iPod Touch) – 2009’s acclaimed tower defense game is FREE for a limited time. Infinite Dreams is a whole new fun and whimsical take on the tower defense game. It’s only $0.99 for a limited time. Do not hesitate – hit the buy button because I know you’ll love it as much as I do! There you go! If I missed anything, feel free to leave a message in the comments section.